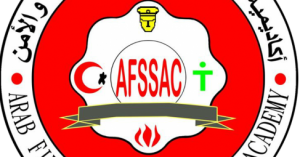 Arab Fire , Safety & Security Academy offers Hazardous Materials Technician which is a developmental programs . – All employees in safety and firefighting whose jobs require rapid and urgent intervene in the incidents containing hazardous materials. – All employees who work in factories and institutions that carried out inside industrial processes or packing and shipping, storage and processing of hazardous materials. Qualifying specialized cadres appropriate response required to deal with hazardous materials according to international standards, the National Association of Fire Protection No. NFPA472 to provide safety and incident management requirements. 1- Clarify and explain the rules and regulations that control the use, storage and transport of hazardous materials. 2- Describe health and safety issues, identify the levels and categories of chemical elements and toxic effects on the body systems. 3- Discuss the importance of the survey and comprehensive medical supervision and advance planning to discover any cases in early to secure the requirements of the Occupational Safety and Health. 4- Identify the types and requirements of different containers and vessels used in the storage of hazardous materials transportation. 5- Described the pre-planning for handling hazardous materials and procedures for the process. 6- Discuss the principles and basics of chemical and terminology for the practical application of fire and safety men. 7- Clarify and explain the necessity associated with the use of personal protective equipment and (PPE) and maintenance. 8- Clarify and explain the types, models and levels of purges. 9- Describe situations in purging and special cleaning. 10- Describe and use the measurement and control defensive and offensive devices used by members of the response team. 11- Identify the composition or structure of incident management model system or the system applied in the incidents containing hazardous materials. 12-Identify the role of the technical specialist responder within the incident. 13- Identify terrorism, the types and ways of fighting it. 14- Identify requirements to oversee the implementation of the evaluation, treatment and transport of injuries. – Recognition and identification of hazardous materials. – Personal protective equipment, SCBA & PPE. – Process chemistry of hazardous materials. – Advance planning for hazardous material incidents. – purging and removing contaminants and hazardous materials. – ministering and treating the patient. 1. Educational level: General secondary Certificate (scientific section) and its equivalent. The duration of this program is two weeks according to the attached offer. The duration of this program is two weeks according to the offer. This brings the total of the periods necessary to end the requirements of hazardous materials technician program is to be seven weeks. * Duration of the program: three weeks (15 days) – Five days a week – 90 training session (40% theoretical 60% practical). * Training language: – Arabic in addition to English slang terminology.